Sunshine greeted golfers as they arrived at the 8th Annual West Coast Classic at the Resort at Pelican Hill in Newport Beach, CA. 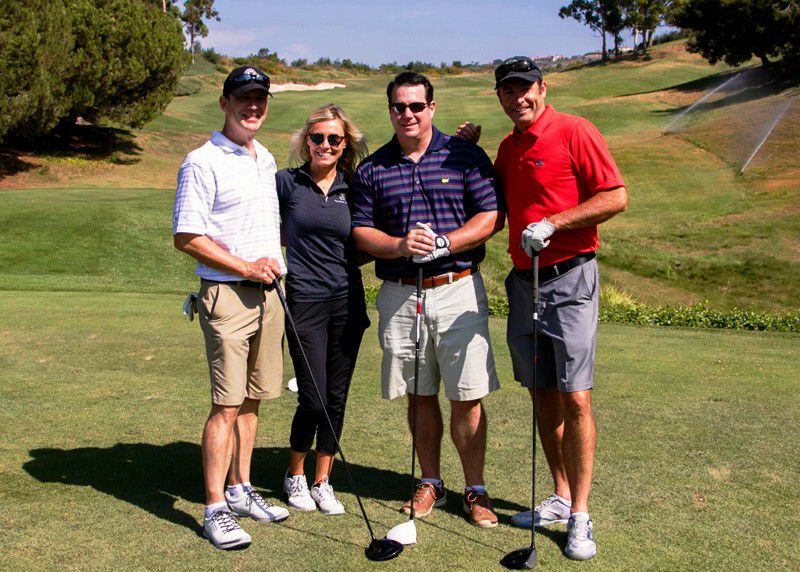 With the biggest crowd to date, the financial industry, led by Foundation Sponsors BNY Mellon, Eagle Investment Systems, and Intercontinental Exchange, took over both courses at Pelican Hill in support of Expect Miracles Foundation’s mission to invest in life-saving cancer research and advance patient care programs. As guests arrived, they enjoyed catching up with industry friends, while having breakfast on the stunning patio at Pelican Hill. After receiving tokens of appreciation from Vineyard Vines, golfers headed out onto the links, and were treated to 18 holes of jaw-dropping scenery so beautiful they had to remind themselves to keep their eye on the ball. When golf concluded, Frank Strauss, Founder and Chairman, and Frank Heavey, Executive Director, welcomed guests to the Post Golf Reception and thanked the guests for their financial support and participation in the 8th Annual West Coast Classic – noting that all attendees are impacting, caring for, and curing cancer patients by playing golf today. Strauss stated that thanks to the continuous generosity of the West Coast Financial Community, Expect Miracles Foundation has reached some huge milestones this year. “You are part of the largest crowd gathered for this event in its 8 years; you have helped us expand our support to the Southern California cancer community.” Heavey told the guests, “You brought about new hope to about 33,000 Americans battling lung cancer.” Heavey shared that shortly after last year’s tournament, the FDA approved the drug, Tagrisso, which Expect Miracles Foundation helped fund the development of, for patients with a certain type of non-small cell lung cancer. Heavey also announced that for the second year in a row, Expect Miracles Foundation will provide funding to The Simms/Mann – UCLA Center for Integrative Oncology at UCLA’s Jonsson Comprehensive Cancer Center. The funding Expect Miracles Foundation will provide to the Simms/Mann Parents with Cancer Outreach Program will offer supportive care to parents with cancer who have minor children. Through this program, parents are provided with developmentally appropriate ways to address the questions and concerns of their children and navigate the emotional impact of a cancer diagnosis and treatment. After a memorable Live Auction, Expect Miracles Foundation received an overwhelmingly impactful donation. Neil Hennessy of Hennessy Funds offered to match all donations up to $5,000 made at the event. Many generous individuals raised their hands to donate to the cause, crushing the $5,000 goal by raising an additional $7,000 for the cause. We are extremely grateful to everyone who made a donation. If you did not have an opportunity to donate and would like to do so, click here. To conclude the evening, the tournament results were announced and in a tight match, first, second and third place golfers were awarded prizes from Vineyard Vines PLUS golfers won airline miles, a trip to Cayman Islands, and a stay in Las Vegas for the putting contest, opportunity drawing, and poker game!